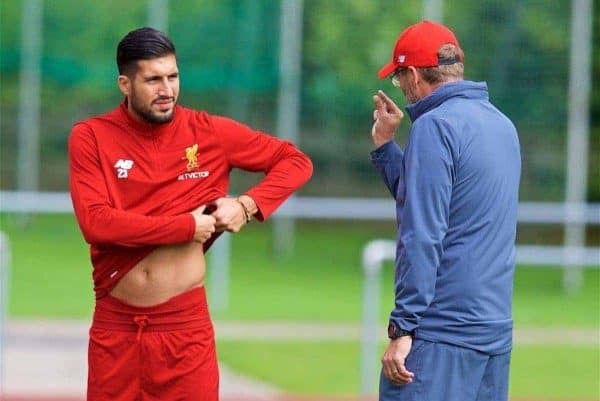 Liverpool midfielder Emre Can admits it is “an honour” to receive interest from Serie A side Juventus, as his contract impasse at Anfield continues. Can has just nine months left on his deal with the Reds, and negotiations have stretched beyond a year, with the club initially making contract last June. 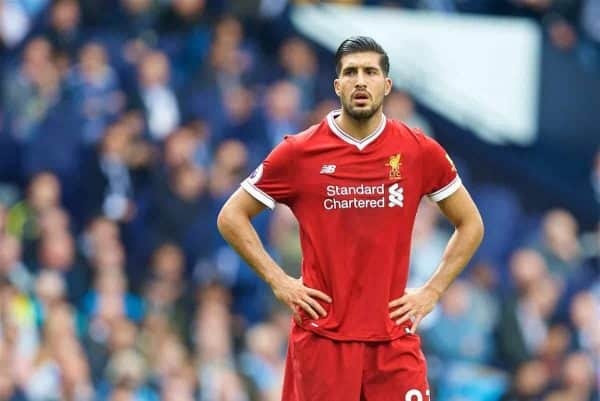 While both parties have repeatedly insisted there is little concern, speculation over Can’s demand for parity with Liverpool’s highest earners and a release clause is troubling. At this stage, the Germany international looks set to leave on a free transfer next summer, and will be able to talk to foreign clubs from January. His most likely destination seems to be Juventus, with the Turin side’s CEO, Giuseppe Marotta, revealing earlier in October that they had made an offer for the 23-year-old ahead of 2017/18. And speaking to German publication kicker, Can seemed to be open to a switch to the Juventus Stadium. “It’s always an honour to receive an offer from such a renowned club,” he said. “But currently I am only focused on the season with Liverpool. My agent takes care of the rest. Jurgen Klopp‘s arrival on Merseyside two years ago has been key to Can tapping into his vast potential with Liverpool, having been previously deployed in a utility role by Brendan Rodgers. Under his compatriot, Can has largely operated as a box-to-box midfielder, and this has seen him thrive. Interestingly, the former Bayern Munich youth was asked as to the possibility of both he and Klopp making the switch to the Allianz Arena in the future, and did not rule out a move. This is far from a commitment to any of the three clubs, but without an emphatic statement on his Liverpool future, uncertainty continues to reign over Can’s contract talks. Unless either party relents in negotiations, it seems highly unlikely a compromise will be struck. And with Marotta suggesting Juventus will return with a pre-contract offer, the only hope is Can experiences a major change of heart and pledges his future to Liverpool.